A pioneer in farm-to-table dining, Westchester County, with its 300 years of agricultural heritage and modern day celebrity chefs, always puts fresh and innovative in the menu. 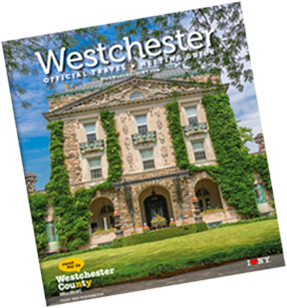 A recognized pioneer in the farm-to-table movement, Westchester County takes great pride in its more than 7,400 acres of vegetable, dairy, poultry, meat, and horse farms. Your group will delight in fresh, seasonal ingredients – from lamb to lettuce – sourced locally and prepared artfully. The provenance of many items are often displayed on menus, from the meat and vegetables on your plate to the flowers and wine on your table. Scores of farmers’ markets supply just-picked produce and celebrity chefs like Mario Batali and Jean-Georges Vongerichten are feeding the county’s reputation as a top destination for dining. If your group is open to rolling up their sleeves, book a teambuilding day at the nationally known Stone Barns Center for Food and Agriculture, an 80-acre working farm and teaching center. Once part of the John D. Rockefeller estate, Stone Barns invites groups to perform farm work such as herding sheep and harvesting vegetables, to learn about food production, and to participate in meal preparation. For more inspiration, check out the new “Westchester-Grown” Farm Trail guide which highlights farms, restaurants that have embraced the farm-to-table movement, along with craft beverage producers.